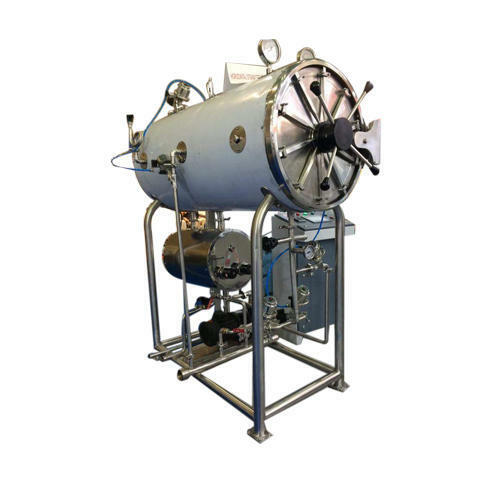 We are engaged in manufacturing a wide range of Autoclave Sterilizer that is sturdy in construction as it is manufactured using plates of appropriate thickness to prevent buckling under vacuum or bulging due to pressure. These help in operating the system work pneumatically with actuated solenoid valves. The vacuum drying at the end of sterilizing hold period ensures drying of the material, which has been sterilized. It is also useful for vials and eye drops entering the class I area and processing drums, garments, fabrics, drying rubbers stoppers vessels machine parts, liquids in bottles and PVC pouches. This above technique is used for 100% air removal from sterilization clamber v, which results in better temperature uniformity in the chamber because of the absence of air pockets i.e. cold spots. 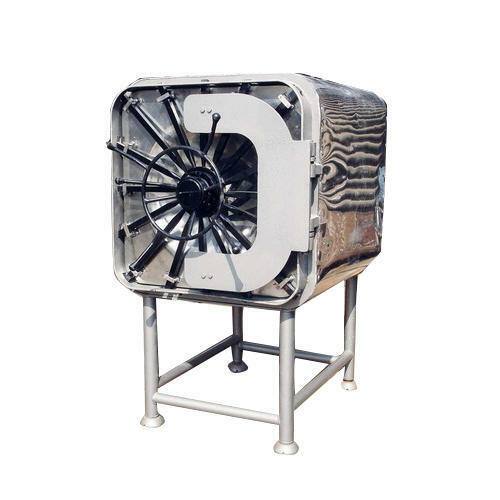 It helps in increasing the penetration of steam in porous products from which removal of air is difficult. 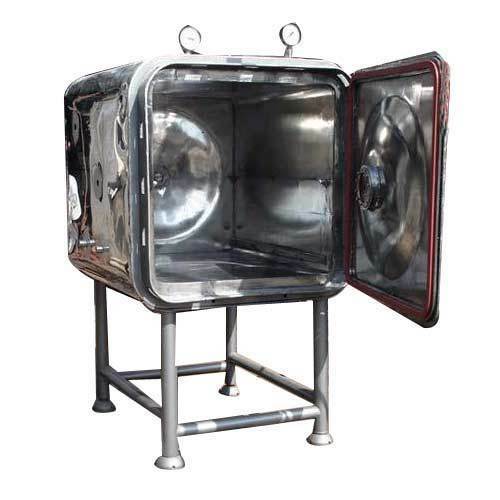 For Horizontal Cylindrical Autoclave Sterilizer Outer, inner chamber & lid are made of stainless steel. It is fitted with Pressure Control Switch, Timer, Musical bell & low water cut off etc. The whole unit is mounted on a robust tubular ms stand. 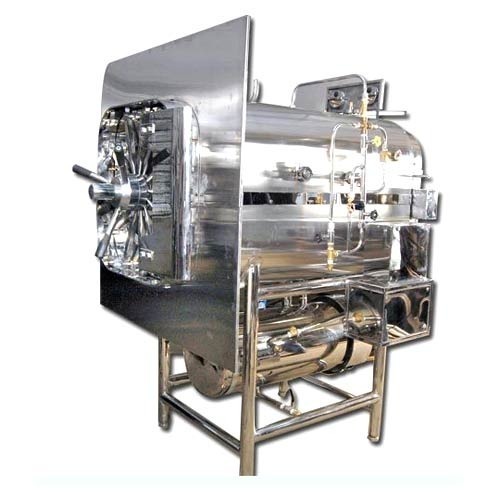 Leveraging on our vast industrial experience, we bring forth an excellent quality Horizontal Rectangular High Pressure Steam Sterilizer that is suitable for parenteral solutions, Injectable, mattresses and hospital dressings. Perfect for sterilizing purposes, these sterilizers are broadly utilized in medical and pharmaceutical research laboratory. Our range is featured with unipoint control station for all phases of the sterilizing cycle in smaller size. These sterilizers are provided with safety precautions such as pressure locking door, spring loaded safety valve and dead weight safety valve. Available with multi-port operating valve, our Rectangular Steam Sterilizer has easy to read compound gauge for the chamber and pressure gauge for the jacket. The products are appreciated for their reliable and durable features by our clients.